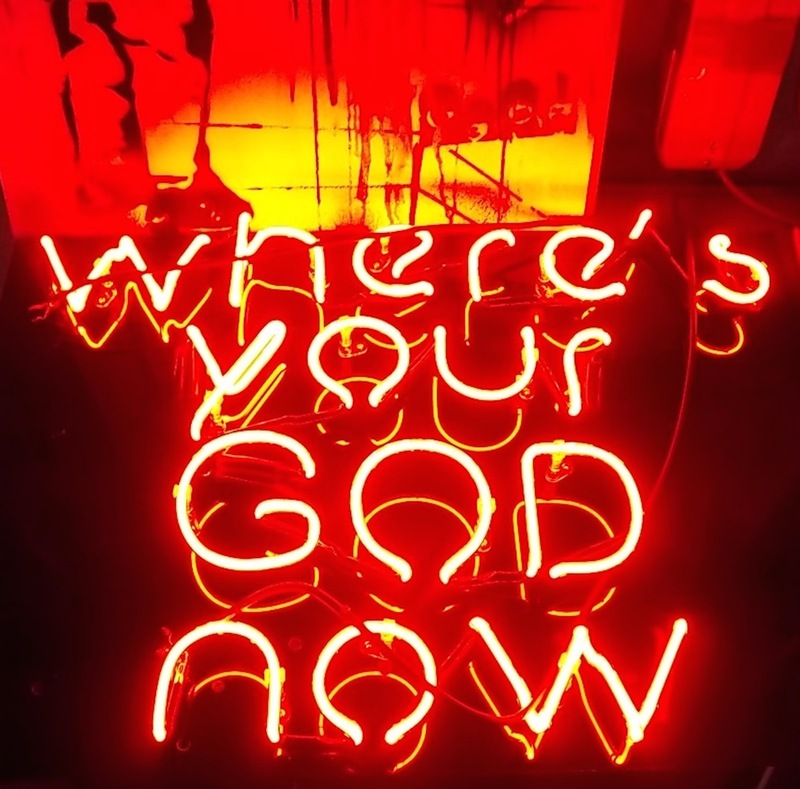 The piece entitled Let There Be Light features a text-based bright red neon installation and is a comment on suffering and the power of faith, shining its bright light on the hypocritical and destructive nature of religion, a challenge to the believer to answer the current and historic consequences of religious ideology and dogma. The reclamation of society by the secular for the secular. 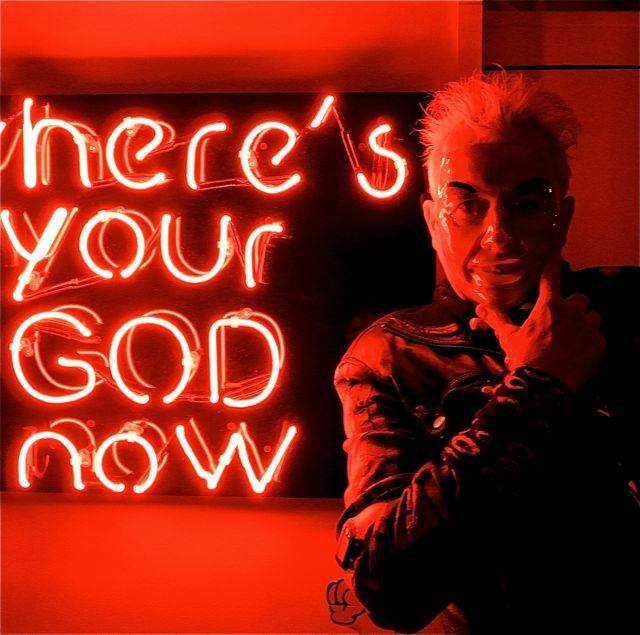 As a glass artist I am drawn to the brightly illuminated slogans of neon. 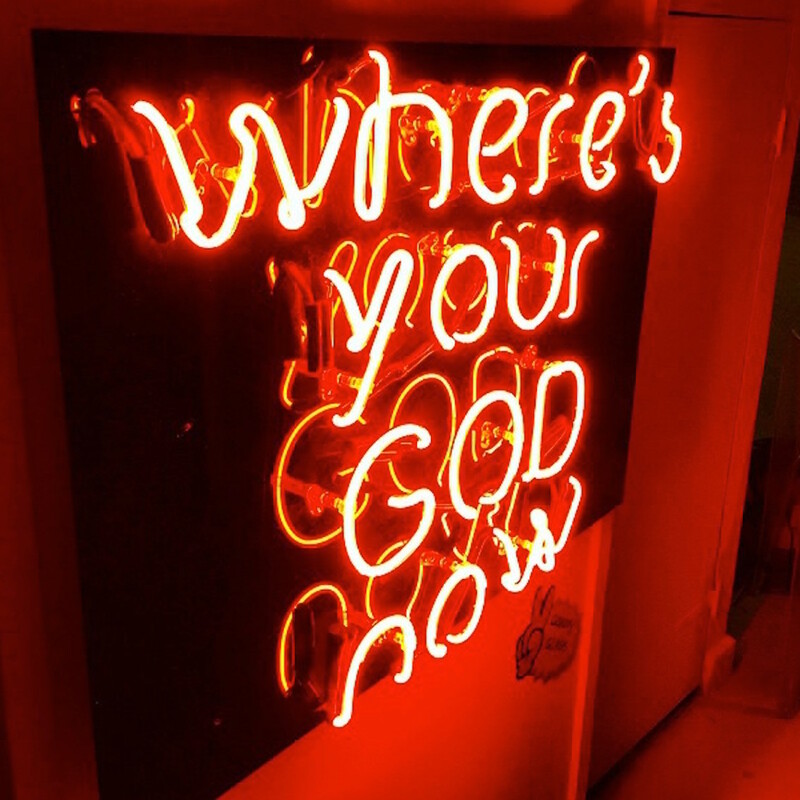 Neon is an urban medium associated with advertising, signage and the magic of night. It is both a source of critique and amusement for the viewer and talks in the languages that surround us about the pressing issues of post-modern living.